From late fall through late spring each year, regardless of what conditions are like at lower elevations, you know you can head to your favorite ski area and find snow to ski. That’s the beauty of ski resorts—they create trails, make and manage snow, and hire staff to keep guests safe on the slopes. Unfortunately, ski resorts have traditionally had a great deal of impact on the environment. It takes a lot of water and energy to make snow, and the effects on the local ecosystem can be significant. As more skiers and snowboarders become environmentally conscious, ski areas are taking steps to reduce or offset their impacts on the environment. In the late 2000s and early 2010s, the Ski Area Citizens Coalition (SACC) surveyed ski areas and used their findings to issue “report cards” on various ski areas’ commitment to environmental sustainability. The SACC was particularly concerned with ski resorts’ habitat and watershed protection initiatives, their efforts to address climate change, and their environmental practices and policies. Since that time, ski areas across the United States have expanded their efforts to reduce their impacts both locally and globally. These are some of the most common initiatives ski resorts are taking to minimize their environmental footprint. 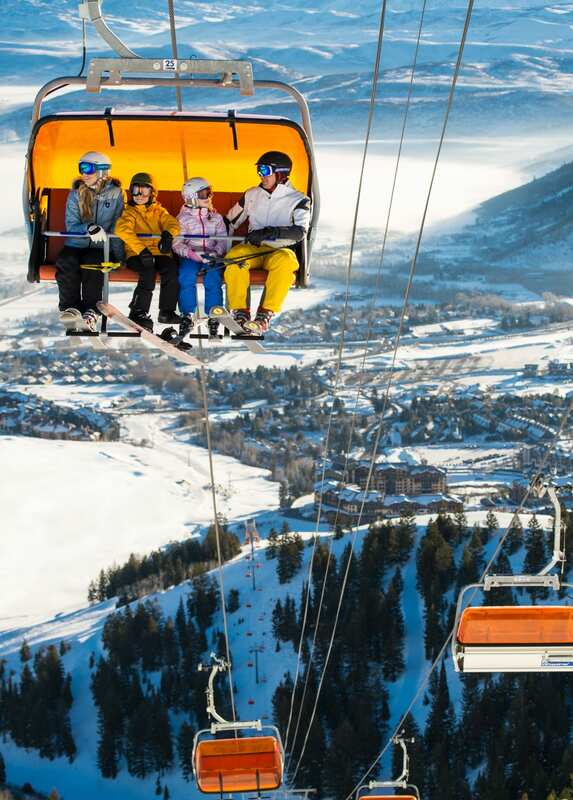 Chairlifts in Park City are now fueled by renewable energy. You’d think snow would be an endlessly renewable resource, but in a warming climate, it’s not nearly as reliable as, say, sun, or wind. 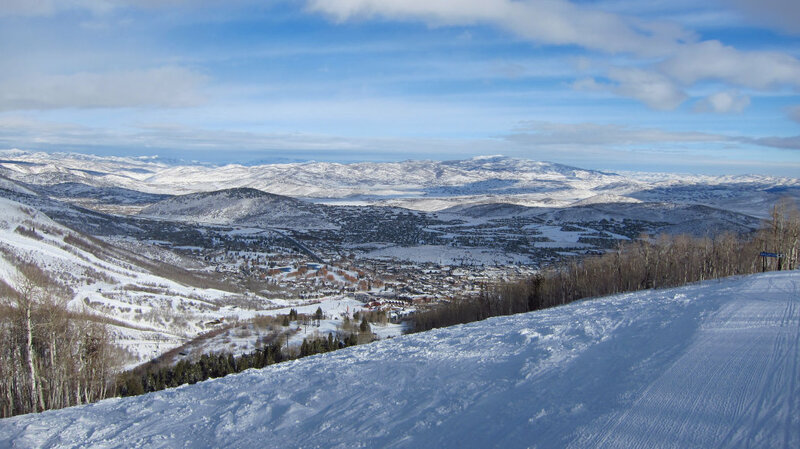 Ski areas like Park City in Utah have begun powering their chairlifts with renewable energy. Aspen Skiing Company is on the same wavelength, using biodiesel to fuel the machines that groom its trails—they were also the first ski area to offset 100 percent of their electricity with wind power. 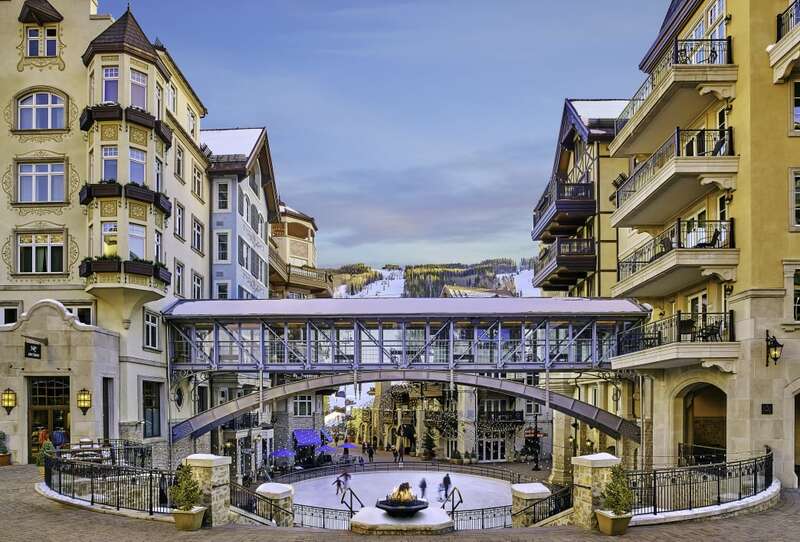 Resorts like Vail are opting for recyclable or compostable material in its dining areas, rather than single-use items. Park City made the switch from disposable plates and silverware in its lodges and dining areas to real dishes, which can be washed and reused rather than thrown away after a single use. 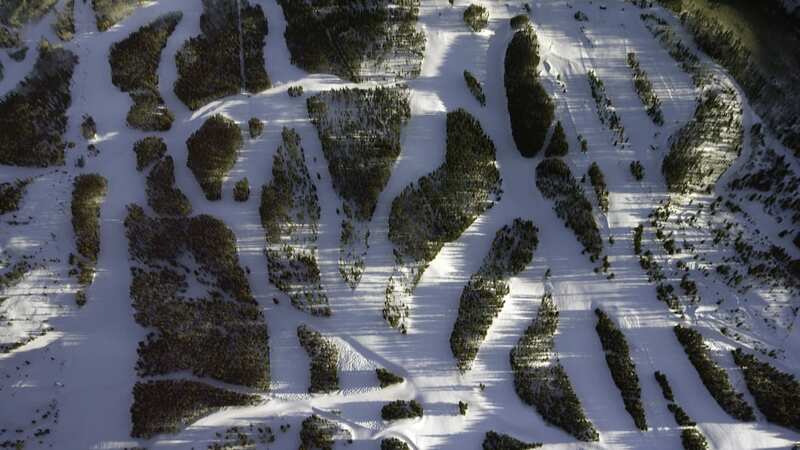 The SACC survey also took ski areas’ recycling programs into account—some resorts have made the switch to recycled paper for their trail maps and other printed materials. Vail Resorts has also recently begun using recyclable and compostable materials in its dining areas rather than single-use plastics. Some ski resorts have brought on teams of climatologists to conduct studies on and around their slopes. At Oregon’s Mount Bachelor, these experts’ findings were used to create a “roadmap” to sustainability. Stops on that road map included fueling resort shuttles with recycled cooking oil and switching to environmentally friendly cleaning products. Back east in Vermont, Smugglers’ Notch has teamed up with biologists to find ways to protect vulnerable wildlife species. Vail is working to reach a zero net environmental footprint by 2030. One of the most powerful ways to make a significant impact is to put money where your mouth is. Aspen-Snowmass encourages its employees to donate to its environmental foundation—and their matching program has raised more than $3.5 million. All these efforts are laudable, but one of the biggest and most impressive commitments to offsetting environmental impact comes in the form of Vail Resorts’ Commitment to Zero. This plan is set to reach a zero net operating footprint by the year 2030. This bold undertaking, which Vail Resorts launched in the summer of 2017, is a three-pronged approach: the company plans to reach zero net emissions, zero waste headed to a landfill, and zero net operating impacts on surrounding forests and wildlife habitat. It’s not just talk. Vail Resorts plans to release regular progress reports to stay accountable. The first progress report was released after the 2017-18 season, and it indicates that the company is on track to reach its goals in all three areas. So far, they’ve invested in 240 energy-efficient machines for snowmaking, swapped out standard light bulbs in their facilities for LED, and entered into a long-term wind energy contract with the intention of offsetting 100 percent of its electricity. Vail has also sponsored and participated in numerous advocacy events and collaborations, launched a full-scale waste diversion program at Park City, and restored a dozen acres of impacted forest in Colorado, among many other ongoing projects. 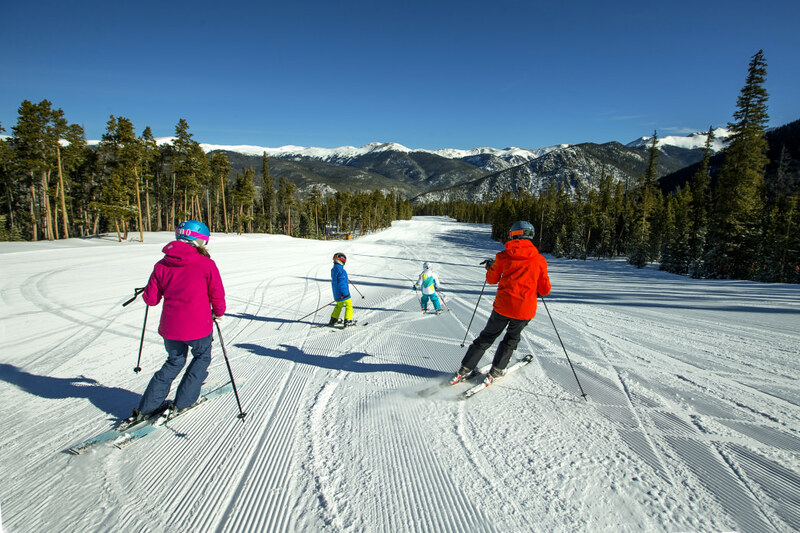 Learn more about Vail Resorts’ work toward offsetting their environmental impact here. Skiing and snowboarding are incredible ways to enjoy the beauty of the mountains. With the effort of both resorts and their patrons, future generations will delight in the same experience as well. Written by Emma Walker for Matcha in partnership with Rent Skis.